Google My Business helps streamline your business information, such as addresses, phone numbers and hours across all Google products. Google Places is free and there is nothing more cost effective than that. It's mobile friendly. Customers can find you immediately, anytime, anywhere on any device. 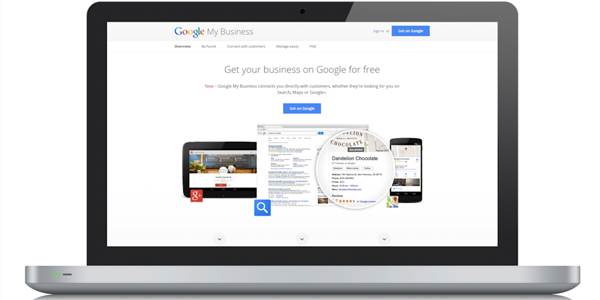 It lists your business across the board on Google whether it be search, maps or Google+. You can set up multiple service areas. If you have multiple locations then you can make sure the customer sees the closest location at the time they conduct the search. It's easy to update. If a phone number or address changes, you can update it in one place and have it reflect those changes across the board. You can post videos, pictures and even reviews of past buyers, making that all important quality first impression. You have insights into traffic statistics such as views, clicks and followers. It helps you build a loyal fan base. You know customers can show their appreciation with ratings and reviews or they can click the plus one button to endorse your content. Shareable. You can share your Google+ posts across the web. As a business owner you'll get many benefits from Google My Business. If you need help getting your business listed on Google My Business then contact us.